Where do I even begin with Diana and Andrew?! First of all, these two are such an adorable couple. You couldn't find two people more in love and simply excited to spend their lives together. And on top of being a top notch pair, they had the most gorgeous and fun wedding at Bissinger's Caramel Room. Christine with Celebrations of Love KC pulled together talented vendors that made their wedding day unforgettable. I loved Bloomin' Buckets use of vibrant peonies in the bouquets and centerpieces. Yellow Brick Graphics created beautiful invitations and my personal favorite, personalized fry paper for the late night snacks. There were so many moments in the evening that were unforgettable, but the MOST notable was the pair of T-Rex that surprised everyone out on the dance floor :). If you're scrolling through the photos and find that their wedding looks familiar, it's because they were featured on Carats and Cake! Enjoy! Enjoy! Enjoy! For more weddings at The Caramel Room at Bissinger's , check out Ellory and Kyle's day! Thank you for viewing Diana and Andrew's The Caramel Room at Bissinger's wedding, photographed and curated by Erin Stubblefield Weddings and Portraiture. 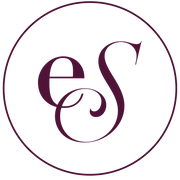 ESWP is the premier midwest photographer for Chicago and St. Louis. To inquire about booking, click on the INVESTMENT tab.